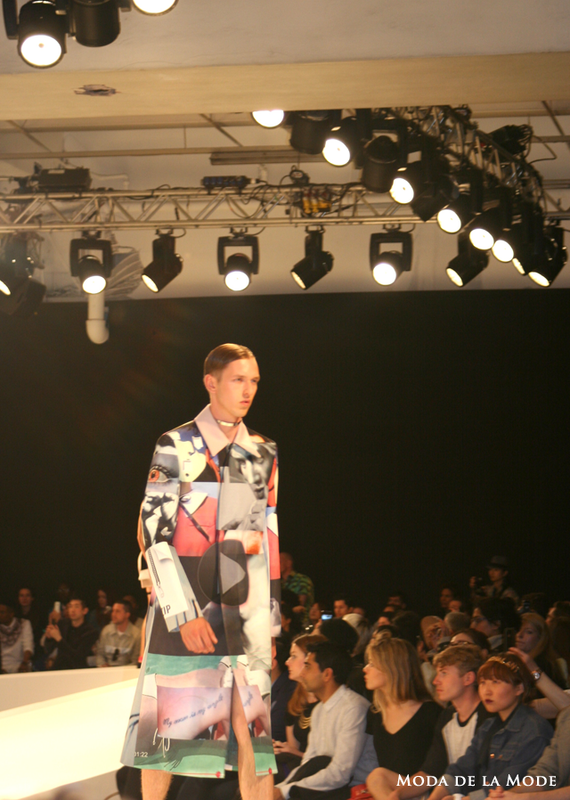 Xander Zhou is one of the few designers showcasing at London Collections Men this season who has demonstrated real progression from last season. 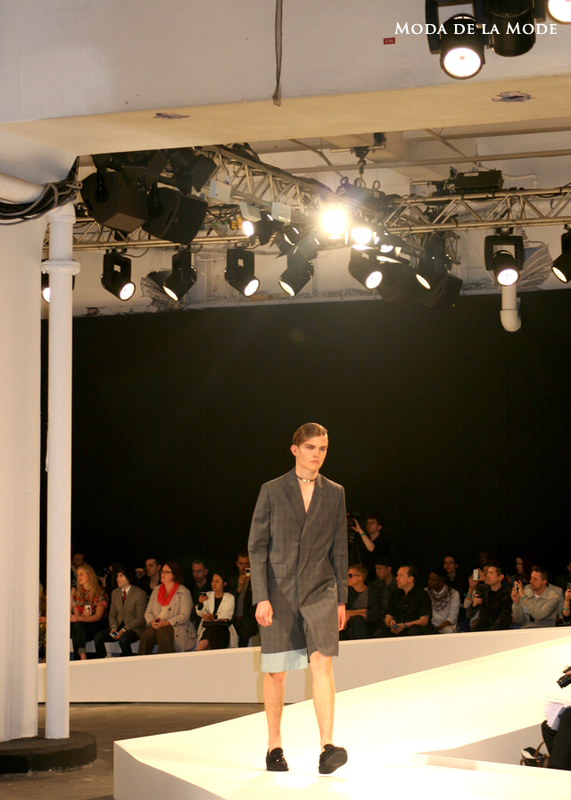 His Autumn Winter 2013 collection with its bright, electric blues is a far cry from his latest collection. The collection has a simple colour palette of white, black and beige which, when combined with the white garters and thin silver choker collars, gives it a cold, clinical feel. 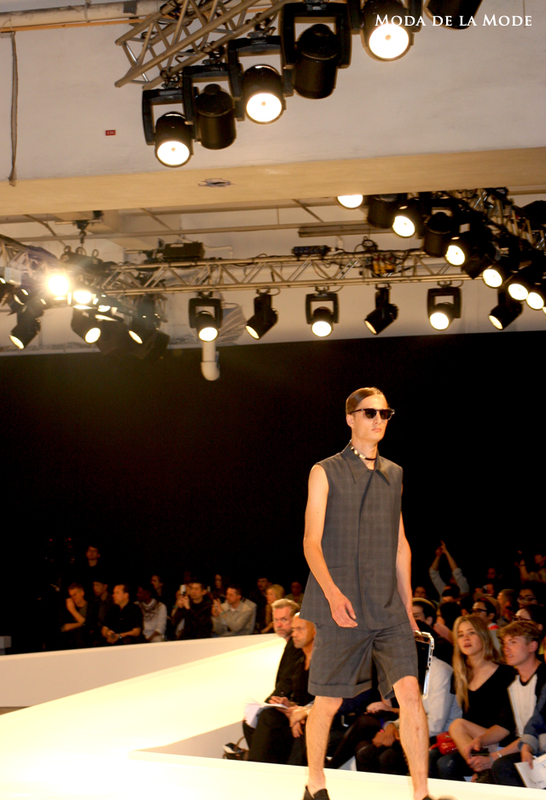 The theme of the collection is perception, explored through the internet and beyond. The press release simply reads "The world is how we perceive it. And I can share it with you". Xander Zhou translates this into jackets printed with symbols synonymous with the internet such as zip file logos and video play buttons and then deconstructs the suit leaving models wearing extra long suit jackets with suit trousers cut to thigh grazing lengths. In fact, there are no hands on show during the whole show, only copious amounts of legs. 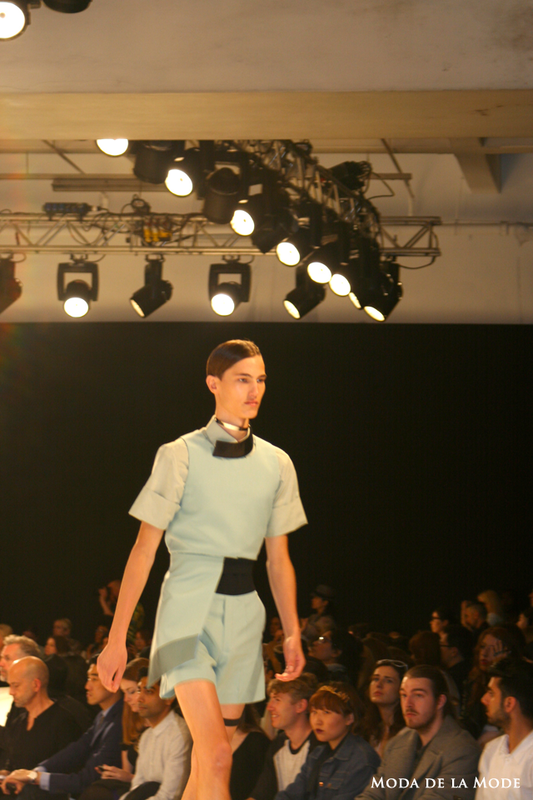 Xander Zhou has taken virtual reality and transplanted it to our reality, in the form of a SS14 menswear collection.